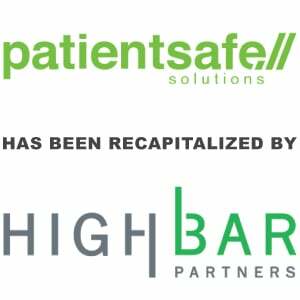 Berkery Noyes Advises PatientSafe Solutions in its Majority Recapitalization by HighBar Partners - Berkery, Noyes & Co., LLC. Leading global investors provide capital to accelerate PatientSafe’s clinical innovation and growth. SAN DIEGO–(BUSINESS WIRE)–PatientSafe Solutions, a leader in mobile clinical workflow and communication solutions, announced today that it has closed a $25 million round of financing. PatientSafe plans to use the funds to further scale operations, accelerate sales and customer success, and drive further innovation in clinical communications and care delivery. The round was led by HighBar Partners with participation from existing investors Merck Global Health Innovation Fund, Camden Partners, Psilos Group, and TPG. The investors share PatientSafe’s vision of a simple and effective care experience enabled by an outcome-driven, mobile-enabled platform at the point-of-care. Founded in 2002, PatientSafe focuses on empowering care teams to communicate and work together reliably and efficiently through its PatientTouch® platform. PatientTouch is the only mobile platform that unifies clinical communications with critical workflows in a single application for more than 80 leading healthcare institutions. PatientSafe Solutions (San Diego, California) obsesses over the experience of care to help care teams communicate and work together reliably and efficiently. PatientSafe delivers measurable safety and quality improvements through a mobile platform that extends an organization’s EHR, clinical, and communication infrastructure and fits seamlessly into care team workflows. The company’s context-driven PatientTouch® platform unifies communication with workflow by consolidating text, talk, alerts, EMR data, clinical workflows and customizable care interventions, all in one mobile app, on one device. For more than a decade, PatientTouch has helped clinicians both in and outside the hospital streamline care delivery, increase quality, and lower costs. HighBar Partners (www.highbarpartners.com) is a private investment firm focused on strategic growth capital investments in enterprise and infrastructure software companies. 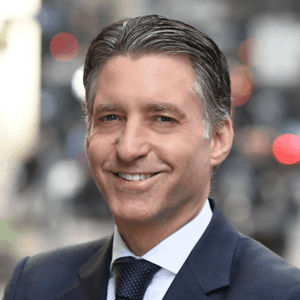 The firm invests in companies undergoing significant change or transition and provides patient, long-term capital to build successful businesses. HighBar is a creative and engaged partner with resources and relationships to assist management teams with financial, strategic and operational execution. HighBar’s principals have founded, operated or invested in over 100 companies in the technology sector. Buyer Parent: Merck & Co., Inc.